Often, soccer holds a mirror up to society. In the late 1970s and 1980s, rampant hooliganism in the United Kingdom reflected widespread societal unrest directed at the ruling classes. On a more positive slant, in the 1990s, the Premier League rose to behemoth status in the midst of favorable economic conditions and a growing desire to see greater integration of foreign talent into the workforce. But in 2019 – when political leaders in the UK, Italy, the United States, and many other prominent nations have condoned or advocated nationalist policies and right-wing populism – the specter of racism has reared its ugly head in the beautiful game. This season, a troubling amount of racist incidents have come to light, particularly in Europe. In December, fans at Stamford Bridge were clearly seen to racially abuse Raheem Sterling. 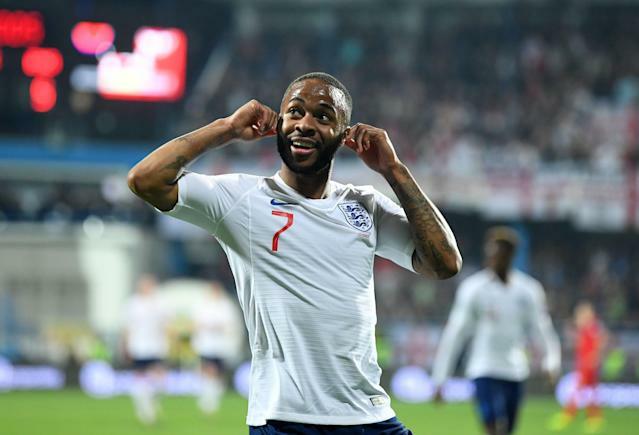 The Manchester City forward was once again subject to abuse (along with international teammates Danny Rose and Callum Hudson-Odoi) during England’s recent trip to Montenegro. 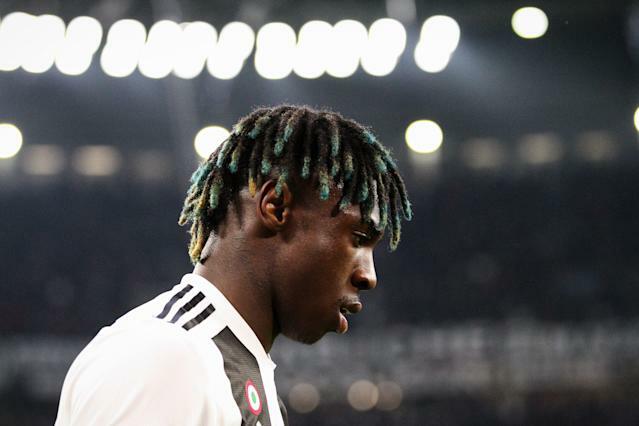 In Serie A, we have seen Juventus teenage starlet Moise Kean suffer at the hands of Cagliari supporters. And in England’s lower leagues, U.S. international Duane Holmes was racially abused in front of the dugouts, while Northampton has confirmed that a number of their players were abused on a trip to Notts County. Hudson-Odoi should have grabbed headlines for his sensational performance in his first England start. Kean should be dominating the news cycle for the manner in which he took the mantle of the Old Lady’s attack in Cristiano Ronaldo’s absence. And in an ideal world, Raheem Sterling should only be talked about in terms of his role as one of the Premier League’s best players this season. It is a tragedy that racism has overshadowed these achievements. Unfortunately, the manner in which this racism has been dealt with by the relevant authorities is also pretty tragic. After the Sterling incident at Stamford Bridge, four offending fans were given bans from the stadium “pending further investigations into allegations.” The club escaped any punishment from UEFA. Montenegro has been charged with racist behavior, but their case will not even be heard until May 16. And it is reported that Cagliari will avoid any kind of meaningful punishment because “only 40-50” of their fans racially abused Kean (much like they avoided punishment for racial abuse of Blaise Matuidi earlier this season). In the same Juventus match where Cagliari fans disgraced themselves, Kean was fined €2,000 for diving. Over the past year, UEFA, the governing body of European soccer, has issued seven punishments for racist behavior, the majority of which have resulted in monetary fines and partial stadium closures. In November, for example, Greece was fined just £8,500 and given a partial stadium closure when Nazi symbology was displayed at a UEFA Nations League game. Last summer, Atletico Madrid was given a stadium closure of 3,000 seats (that’s less than 5 percent of the capacity of the Wanda Metropolitano) and a paltry €2,000 fine when racist chants and banners marred the Europa League final. And in September, Poland was made to close off only 1,000 seats after racist behavior was found in a match against Italy. Meanwhile, in that same year-long time period, UEFA fined Besiktas €34,000 when a cat entered the pitch in a Champions League game. The message here? A cat walking on the grass is far less palatable than racism, according to UEFA’s punishment standards. Evidently, the punishments currently being distributed by UEFA are woefully insufficient – and are questionably enforced. Frankly, if the issue of racism in soccer is to be appropriately dealt with, UEFA needs to skip straight to stage three of the punishment scale: match forfeitures, points deductions and disqualifications. The argument against such drastic action is that it punishes the team on a sporting level for the infractions of what may be a minority of fans. The problem is that the current trifling penalties have little to no effect on the offending fans. For those poorly behaved fans to truly realize the impact of their behavior, and for clubs to be jolted into taking more significant action, the harshest possible punishments need to be levied. If Montenegro, for example, is slapped with a fine and ban, there is unlikely to be any large shift in the conversation or the actions of the offending fans. If they are ejected from Euro 2020 qualification – or given a points deduction so severe as to make qualification impossible – then a real message is sent. One that stands a much better chance of changing fans’ conduct when they attend future games. Sterling put it well after the Montenegro incident: "It's 2019. I think there should be a real punishment for this." Of course, harsh sanctions alone cannot fix a problem that emanates from general society. And Sterling, who has unwittingly become the spokesman for this issue in recent times, infers that it is society’s problem to fix, not UEFA’s: "Football can do nothing. Until we get rid of racism in society, football will mirror society. "You cannot pass laws to change perceptions, only through education and understanding why people are racist in the first place and working with that. So laws aren't going to change anything." Sterling’s point is valid, but UEFA cannot use this as an excuse for insufficient action. Right now, thanks to conditions in stadiums under UEFA’s jurisdiction, Danny Rose is frustrated enough to be willing his own retirement. “I’ve got five or six more years left in football and I just can’t wait to see the back of it,” the Tottenham star said after being subjected to monkey chants from Montenegran fans. The English Football Association, in a statement after that Montenegro game, found the middle ground by saying deterrent punishments should be used in conjunction with educational initiatives: “Our experience is that by combining both sanctions and education, whilst working alongside campaigners such as Kick It Out, real progress can be made. Much has been done to sanitize the highest level of the beautiful game, since the days when a parent would think twice about bringing their young child to a professional game. While soccer cannot cure society's ills, it can make sure those ills are not welcome by enforcing the strictest punishments possible.